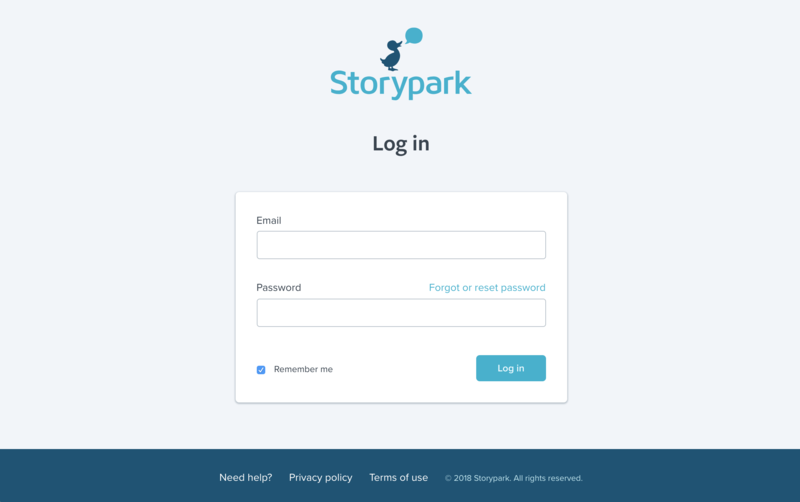 Storypark is an online service so you don’t have to install any software on your computer. 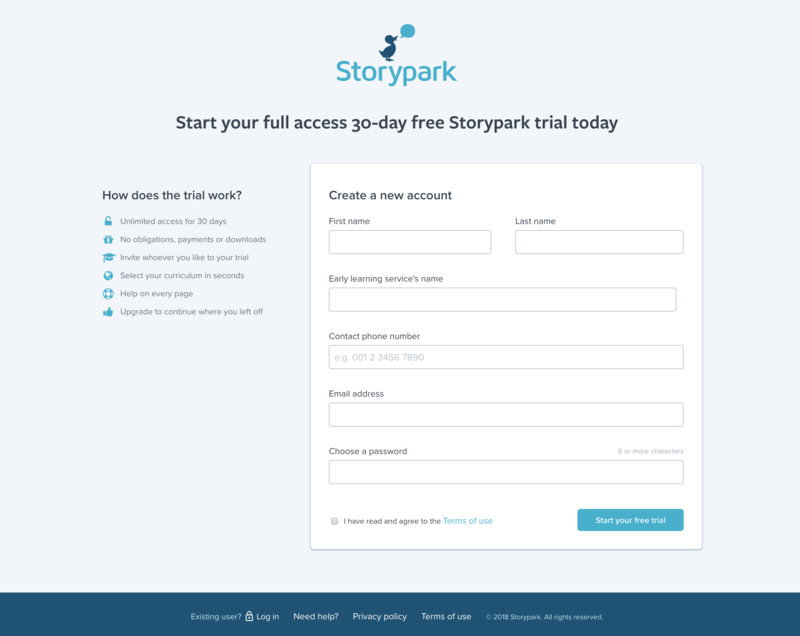 If you have never used Storypark before, simply go to www.storypark.com and click the ‘Start your free trial’ button. Once you click the ‘Start your free trial’ button, you’re in! The first page you see will show a ‘Welcome to Storypark’ video, and then you'll be asked to add a child. Note: if you are not the manager or admin person of your service they will frist need to sign up and you will need to be invited by them. An invitation email will be sent to you. Don't sign up from the Storypark home page otherwise you may create a duplicate account for your service. If you've received a Storypark invitation by email, it means someone you know (either a teacher or a family member of a child you care for) wants to share their child's stories and learning with you. Click the link in the email and you’ll be taken to a 'Sign up' page where you can enter your name, and choose a password. Please choose a password you will remember but that is difficult for someone else to guess. Once you click ‘Sign up’ you'll be part of that child’s Storypark learning community.